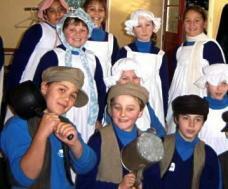 This is a collection of Living Heritage stories created by New Zealand students before September 2008. Use the filters below to search for a story by school name or level. Stellin Memorial Park is situated near Northland School in Wellington. 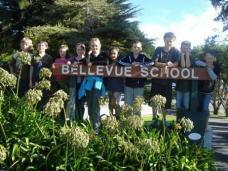 A group of year 7 and 8 students researched the story behind the naming of the park. 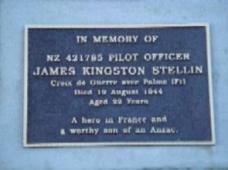 Browse their website to find out the history of James Kingston Stellin, a young New Zealand fighter pilot who was killed in France during the Second World War. 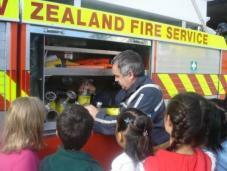 A group of students from years 3 and 4 at Bellevue School, Newlands in Wellington, were interested in finding out about their local Volunteer Fire Service. They visited the fire station and found answers to many of their questions. Browse their website and follow their research findings. 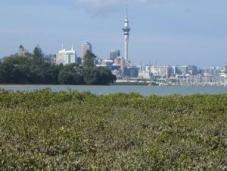 A school science project gave four students from Hauraki Primary School a chance to explore their local mangrove forest. They studied the plants, trying to decide if mangroves are good for the environment or whether they are a pest. They also investigated local opinion through questionnaires and interviews. Explore their website to find out more. Students from the senior syndicate at Bellevue School researched the history of Woodridge Farm. 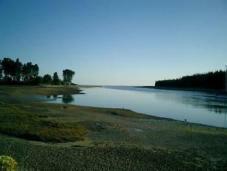 Explore their website to find out more information about this area of Newlands in Wellington. This is a project by the year 5 class from New Brighton Catholic School in Christchurch in which they have been learning about the history of their area focussing on the nineteenth century. Topics covered include: early school and play, transport, work, the voyage to New Zealand, housing, and clothing. 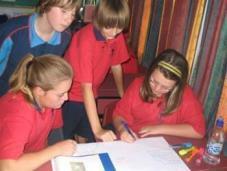 Students also looked at the different ways in which history has been recorded over time and their own family histories. Omarama School is in the Mackenzie Basin which is an area continuing to change because of the farmers irrigating their land. In their Living Heritage project, students in the senior room explored how this has been happening over the last few decades and the junior room students shared some information on what happens on the farms in the Omarama area. The senior students at Mapua School identified four important environmental issues in their community. Through the inquiry learning process and the Living Heritage project they discovered many interesting facts about their local area and researched how to reduce their carbon footprint. The students of Upper Moutere School take a journey to discover the history of the Upper Moutere area, the school and the people. The 150th Jubilee Celebration was selected as the focus of their whole school inquiry learning project. Explore this Living Heritage website to discover what Mapua School students learnt about the McKee Domain Reserve at Ruby Bay in Nelson. As part of the 'Discover IT Tasman' ICT cluster's goals, Mapua School completed an inquiry unit following the Living Heritage Project Path.